Deaf Awareness Week is also called as International Week of the Deaf is celebrated globally in the last week of September. The first International Day of the Deaf was first celebrated by the World Federation of the Deaf (WFD) in 1958. The day of awareness was later extended to a full week, becoming the International Week of the Deaf (IWD). The ZB Foundation is extremely thankful to Dr Nadeem and Pakistan Ear Foundation for donating us the internationally acclaimed Ototacoustic Emissions (OAE) testing equipment to us for establishing Newborn Hearing Screening at Pakistan Institute of Medical Sciences in Islamabad. In pursuit to learn more about lifestyle and struggles in the deaf community, I interviewed Sheikh Jawad Ahmed Raza who runs a Non-Profit Organization (NPO) called Pakistan Youth Federation of Deaf and Hard of Hearing (PYFDH) and hails from the deaf community himself. Who is Sheikh Jawad Ahmad Raza? Sheikh Jawad Ahmed Raza is an ACCA Finalist and working as an Accounts Officer in an INGO named CBM International. He previously worked in Telenor Pakistan and British Council. Along with finance background, he has been a social activist since 2009 working for the empowerment of Deaf and Hard of Hearing communities. Currently, he’s the Founder of Pakistan Youth Federation of Deaf and Hard of Hearing. Furthermore, he’s also a Co-Founder of ‘Abey KHAO!’, and a member of Pakistan U.S. Alumni Network (PUAN). Hi, Mr. Jawad. What have you been up to as President of Pakistan Youth Federation of Deaf and Hard of Hearing (PYFDH)? How has the journey been up till now? Since its establishment in 2016, the founding members have been given an opportunity of International Visitor Leadership Program (IVLP), an exchange program, by the U.S. Embassy Pakistan where we explored to visit different institutions working for the Deaf community and met many Leaders. It helped us to set the mission of what needs to be done in Pakistan. We also got a grant from the Embassy for our project “We are empowered” where we conducted workshop on ‘Self-Identity and Independent Living’ in 12 different cities and developed our network over there. The journey so far has been a wonderful experience and it’s really a challenge to change the mindset of youth who are Deaf and Hard of Hearing to make them aware of their rights. When was it diagnosed that you had some degree of hearing loss? And what was done to aid you? When I was in my 2ndgrade (six years old), my teacher expressed that I wasn’t on the ‘same line’ with my class mates who would read loud and clear. She tried to help me but I couldn’t hold the pace. After sharing the situation with my tutor and parents, my parents did two things to aid me which are still really recommended. What does International Week of the Deaf mean to the deaf community? The most unfortunate thing is that a very few of the Deaf community is aware of the International Week of the Deaf. And among the majority of those who are aware, they don’t know what needs to be done to commemorate the occasion because of their lack of access to information as there is no such schemed education in Pakistan that may facilitate them. They are highly deprived in education sector. How much more work needs to be done on hearing loss awareness in Pakistan? A lot of effort is required in Pakistan to raise hearing loss awareness especially in urban areas. It is the parents’ role who will either educate Deaf/HOH kids and live well or neglect them and leaving them to face the same challenges dealt by others. Parents’ acceptance towards their kids who have hearing loss is the major challenge in Pakistan. How successful is the performance of the deaf community in schools/colleges/universities? There is no quality education for the Deaf here; there is not even a university for them. In Pakistan, a deaf person who is a Bachelors qualified from special education still doesn’t read and write properly. This is because the sign language itself is incomplete in Pakistan and majority of teachers in special education don’t know the sign language. What challenges does the deaf community face at workplace? Once again because of the poor quality of education, the Deaf face challenges to excel in job opportunities where a number of skill sets are required. They are limited to practical related work and a challenge of communication barrier is still there. Today’s Deaf Youth have innate capabilities of running a small business rather than finding a job. All we need is to develop their skill sets required and educate them on entrepreneurship. What challenges does the deaf community face when trying to get married? A Deaf person mostly prefers to marry within their own community. They can only marry a hearing person provided that the hearing person knows sign language and there is no communication barrier between the couple. So, the major challenge deaf community face is lack of support from their immediate family. Parents want their deaf son to get married with the hearing girl, aiming to avoid deafness in the further generation, and, then, at the other side, parents of deaf girls are worried about their daughter’s future. Which gender is more vulnerable due to some degree of hearing loss in Pakistan? Female gender is more vulnerable even when they have moderate level of hearing loss (Hard of Hearing). Their independent living, access to information and education, and their marriage become their challenges due to the hearing loss. Restriction imposed on independent living and employment by the conservative society made their lives difficult as their communication via sign language is limited. 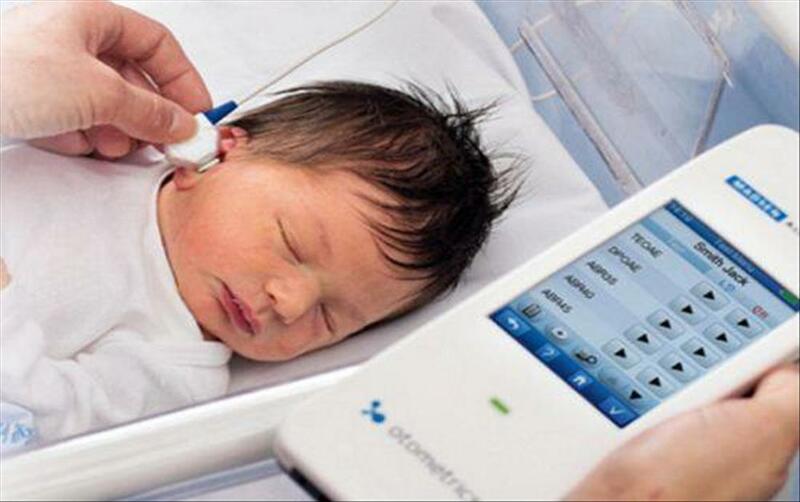 The ZB Foundation has introduced Newborn Hearing Screening in PIMS via OAE test recently. How effective would that be for Deaf community in your view? It’s a great opportunity for both Hearing and Deaf parents. Along with early detection of hearing loss, parents will have the opportunity to learn and adopt the culture of deaf/HOH at the right time so they can up bring and educate their kid properly. What message do you have for parents who find out about hearing loss in their children? Getting panicked or disappointed isn’t the option to recover your children who is suffering with hearing loss. Adopt their language and culture to educate them, and make them a leader for the coming generation. In today’s world, nothing is impossible for Deaf/Hard of Hearing to have equal status with hearing people.